A thigh contusion, also known as a dead leg or charley horse, is a bruise or contusion caused by a sharp impact with a muscle, which is usually crushed against the thigh bone resulting in swelling, and sometimes bruising of the thigh muscles. 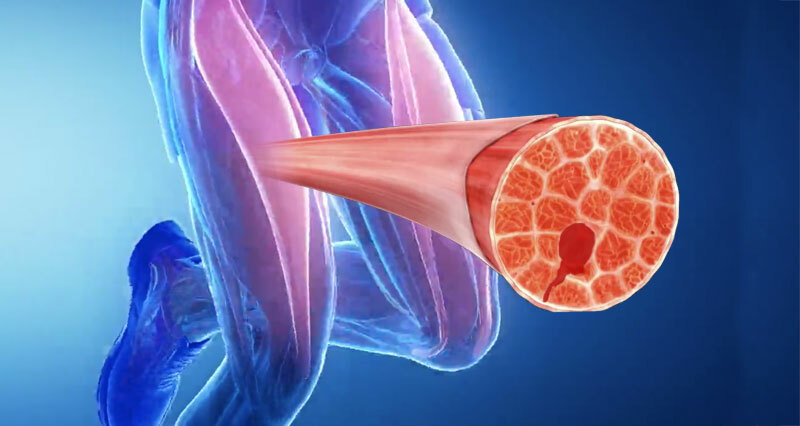 A thigh strain or quadriceps strain is a tear in one of the quadriceps muscles at the front of the thigh. It can range from a mild discomfort to a full blown tear of most of the muscle, resulting in severe pain and inability to walk. Treatment includes rest and ice in the acute stage followed by stretching and strenghening rehabilitation exercises. 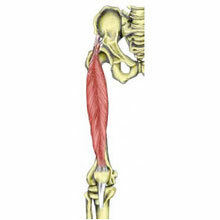 The rectus femoris is one of the powerful quadriceps muscles at the front of the thigh. 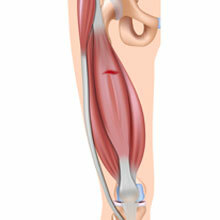 A strain or tear in the tendon can occur at its origin at the front of the hip. An avulsion strain (or fracture) is when the tendon tears at its attachment, pulling a small fragment of bone with it. 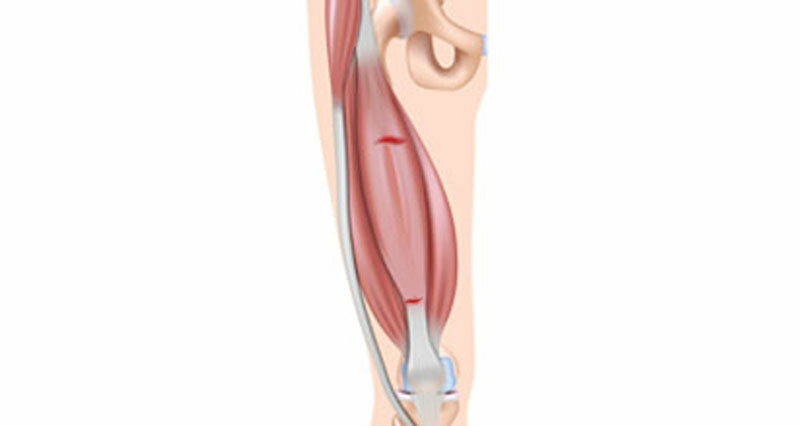 Tendinopathy or tendinitis will have occurred gradually through overuse or a strain that has failed to heal. A hamstring muscle contusion involves a direct blow to the back of the thigh causing the muscle to be crushed against the bone. Pain and bruising at the point of impact are some of the main symptoms, but the condition of the leg should be monitored over several days to make a more accurate and specific diagnosis. 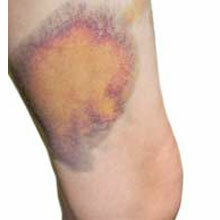 Contusions are graded depending on their severity, which you can read more about here. A femur fracture is a broken thigh bone. 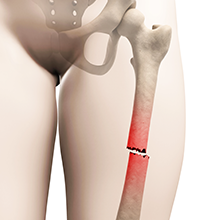 Fractures of the Femur can be either a stress fracture which comes on over time through repetitive strain or a traumatic fracture resulting from a single impact or accident.